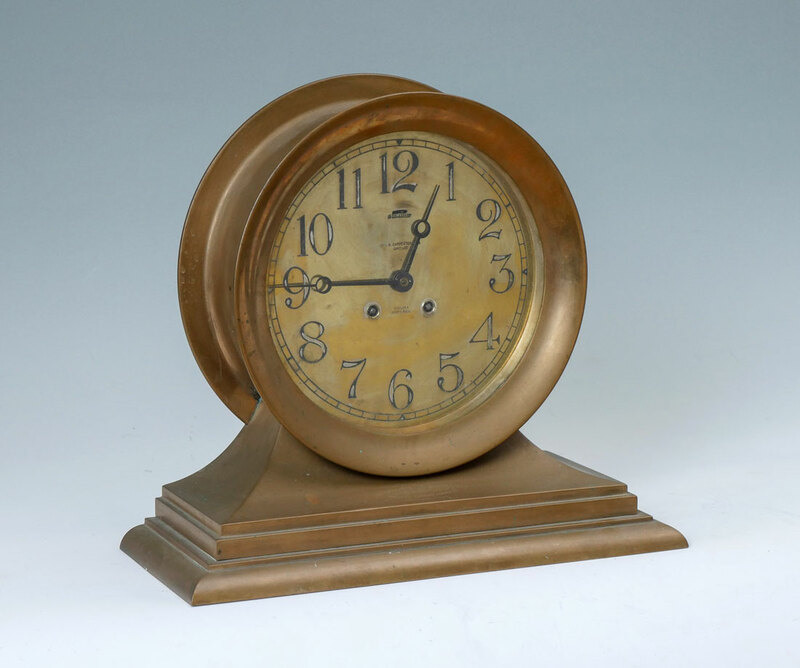 LARGE CARPENTER BRASS CHELSEA SHIPS BELL CLOCK: Heavy brass case and dial. 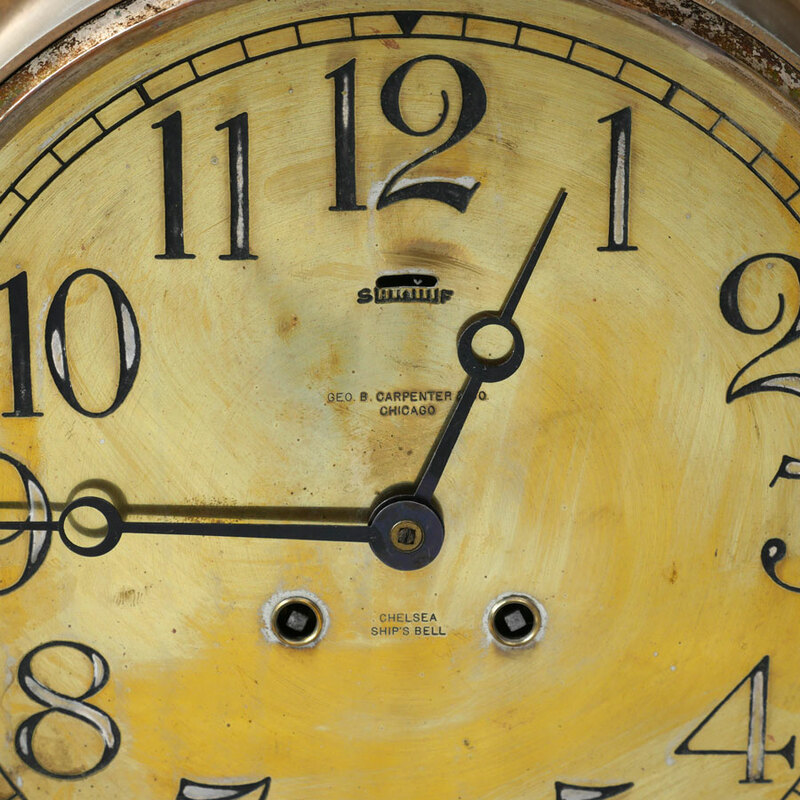 Dial with engraved Roman numerals, marked ''Geo. B. Carpenter & Co., Chicago''. 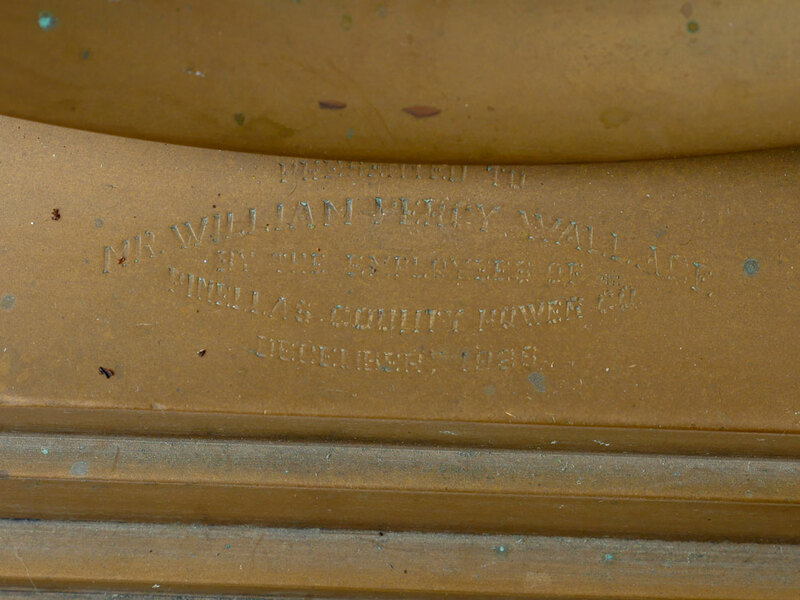 Case with dedication ''Presented to Mr. William Percy Wallace, by the employees of Pinellas County Power Corporation, December, 1926''. Overall measure 12 1/2'' h. x 14'' x 6''. CONDITION: Currently running however not guaranteed to continue or keep accurate time.